Wounded Ego Records releases new LP ‘I Do’ | Sonic Smash-Music! The music label known as Wounded Ego Records has released their new, signature LP collection of original songs, “I Do.” The new album is comprised of 15 tracks for an approximate total listening time of 44 minutes. 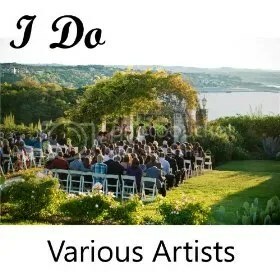 A cavalcade of talent and creativity that is certain to solidify Wounded Ego’s place in today’s modern, independent music industry, “I Do” features the talents of several acclaimed musicians and performers, including David Steele, Nori Kelley, Lydia Salnikova, B. Sterling, and Bill and Connie Ross. “I Do” from Wounded Ego Records is commonly categorized as pop music and adult contemporary listening, but is decorated with elements of many other genres which make up its highly textured nature. Many of country music’s best attributes are peppered throughout the full-length album, particularly in the case of “Connie Connie Connie,” which can be considered the B-side to the album’s title track. “Connie…” is performed by Bill and Connie Ross themselves (married for more than 27 years) and joined by Nori Kelley. The title track, “I Do,” is performed by Grammy-Award Nominee Lydia Salnikova with Nori Kelley and B. Sterling. It is a matrimonial anthem with country overtones, which theme has been sadly wanting in country/western circles for a surprising amount of time, making the title an appropriate and welcome addition to the genre. The inimitable David Steele appears on the record’s opening track as well as on four additional songs. The songs of “I Do” were written by Bill Ross working closely with Nori Kelley on arrangements. Ross cites as main artistic inspirations the Beatles, CSNY, Sting, Bach, Fanny Crosby, and Rodgers and Hammerstein. Of these, the influence of CSNY is especially notable, lending a certain classic-rock/folk-music tinge to the overall project, polishing its character to a high shine. “I Do” presages several other Bill Ross / Wounded Ego projects to come. This is notably so in the case of “The Transcontinental Is on Its Way,” the LP’s closing track, which is planned for inclusion in his upcoming, collaborative musical set in the USA’s Reconstruction period following the American Civil War. “I Do” from Wounded Ego Records is available online worldwide. This entry was tagged bill ross, connie ross, i do, mondotunes, nori kelley, wounded ego.